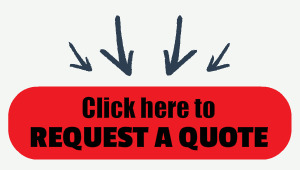 Keep your truck scale operating safely, efficiently and smoothly without a dedicated operator. Ideal for: agriculture, aggregates, asphalt, feed mill, food processing, mining, recycling, solid waste, transfer station and more. 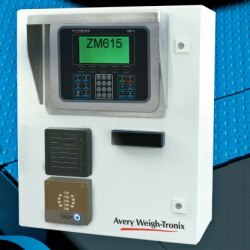 Consisting of an automated control console, a ZM510, ZM605, or ZM615 Indicator, and a thermal printer inside an IP66 enclosure, the ZM Kiosk is one component of an integrated, unattended truck scale system from Avery Weigh-Tronix. Options such as an ID card reader, QWERTY keyboard, vehicle detection and Voice over IP(VoIP) intercom can be added for increased flexibility. This unattended truck scale terminal keeps your truck scale running smoothly without a dedicated operator, lowering operating costs and extending the hours of availability. ZM Kiosks - Base model includes: Lockable outdoor enclosure (24"H x 20"W x 10"D, painted steel), Ethernet kiosk thermal printer with cutter/presenter (includes one paper roll) , high quality DIN rail power supply with 24V/10A output, and 5-port Gigabit industrial Ethernet switch.